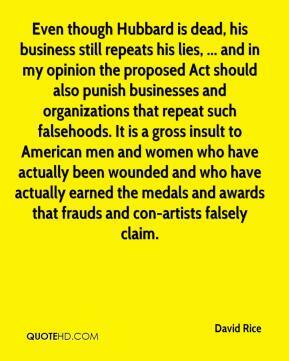 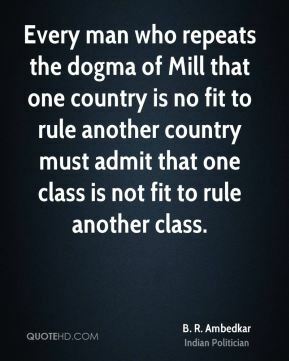 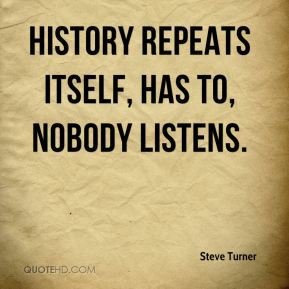 History repeats itself, has to, nobody listens. 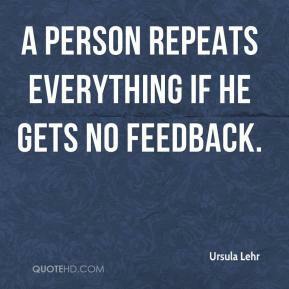 A person repeats everything if he gets no feedback. 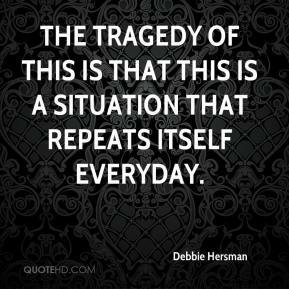 The tragedy of this is that this is a situation that repeats itself everyday. 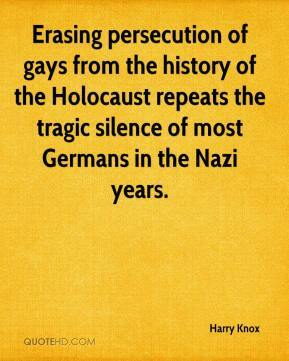 Erasing persecution of gays from the history of the Holocaust repeats the tragic silence of most Germans in the Nazi years. 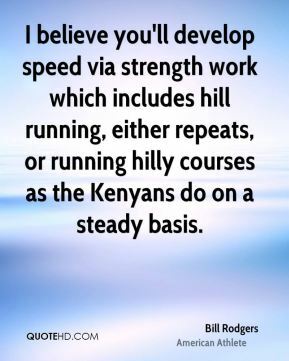 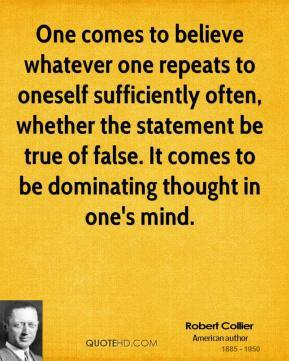 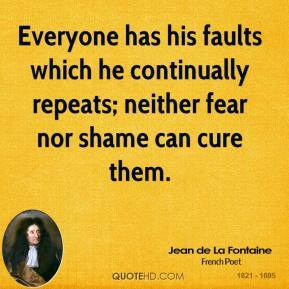 Everyone has his faults which he continually repeats; neither fear nor shame can cure them. 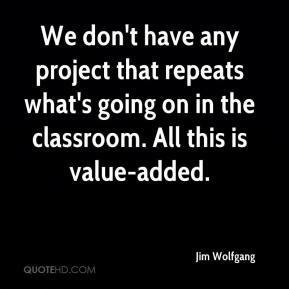 We don't have any project that repeats what's going on in the classroom. 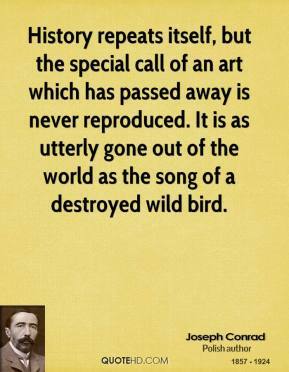 All this is value-added. 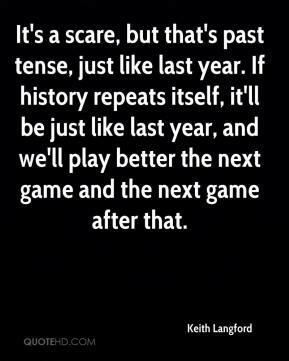 It's a scare, but that's past tense, just like last year. 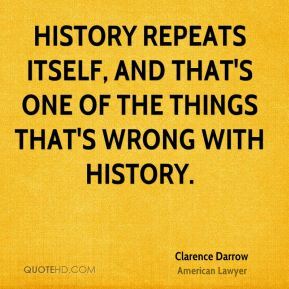 If history repeats itself, it'll be just like last year, and we'll play better the next game and the next game after that. 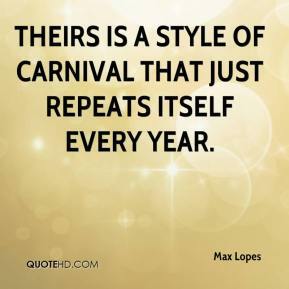 Theirs is a style of carnival that just repeats itself every year. 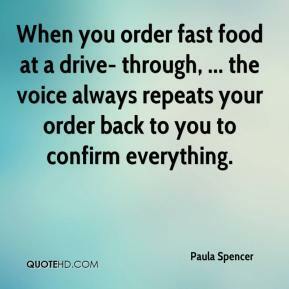 When you order fast food at a drive- through, ... the voice always repeats your order back to you to confirm everything. 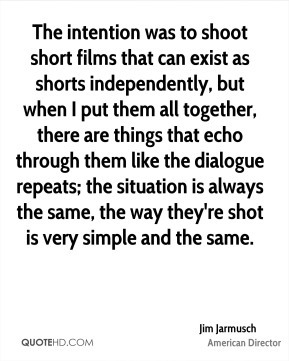 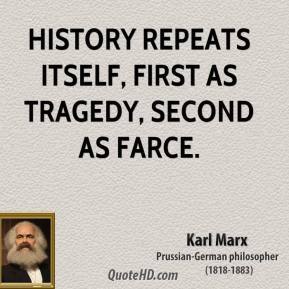 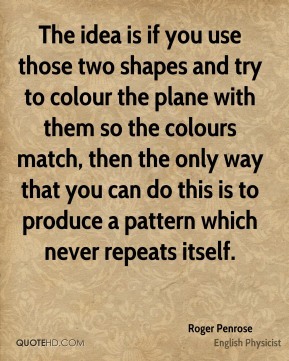 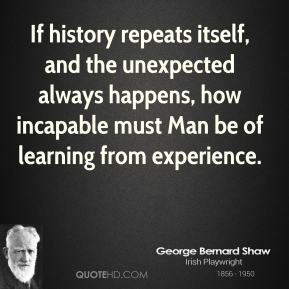 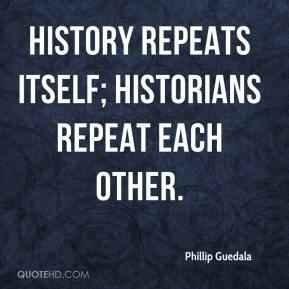 History repeats itself; historians repeat each other. 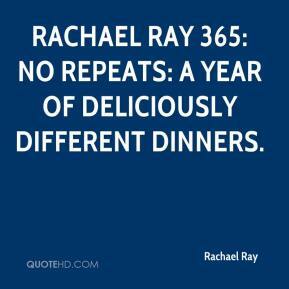 Rachael Ray 365: No Repeats: A Year of Deliciously Different Dinners. 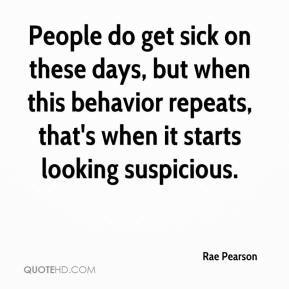 People do get sick on these days, but when this behavior repeats, that's when it starts looking suspicious. 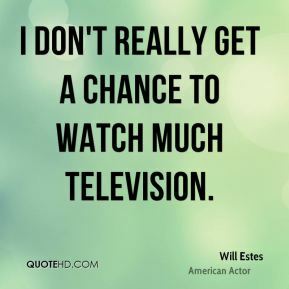 I don't really get a chance to watch much television. 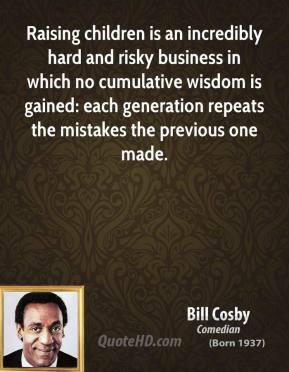 I mostly watch BBC Worldwide and repeats of Seinfeld and Everybody Loves Raymond.